I studied with Kobori Nanrei at Daitoku-ji when I lived in Kyoto. 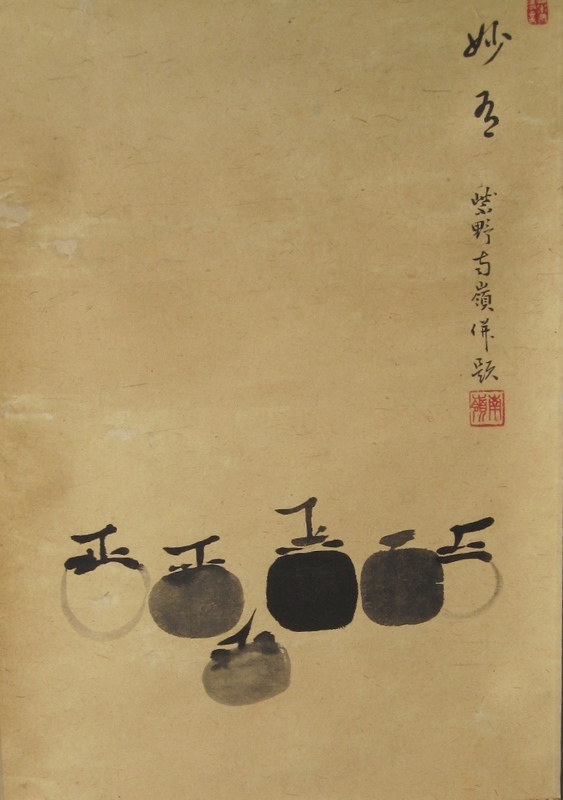 His delightful copy of 6 persimmons by Mu Ch’i is wonderful, a faithful reproduction both physically and spiritually. This entry was posted in Kobori Nanrei, Mu Ch'i. Bookmark the permalink.